Today is Tuesday 23rd of April 2019. Welcome To Bowen University Teaching Hospital School Of Nursing Portal. The general public is hereby informed that forms for admission into the School of Nursing, Bowen University Teaching Hospital, Ogbomoso, Oyo State for 2018/2019 academic year is now on sale from January 10th, 2019 till May 31st 2019. Login with your Registered Email and Password to print Attestation Slip and Examination Slip. You have to submit 1 copy of Registration Form, 1 copy of filled and signed Attestation Slip and 2 copies of Examination Slip along side with the photocopy of the School Receipt at the Principal Office on or before the closing date. TO START REGISTRATION CLICK ON REGISTER BUTTON AND BEWARE OF FRAUD! 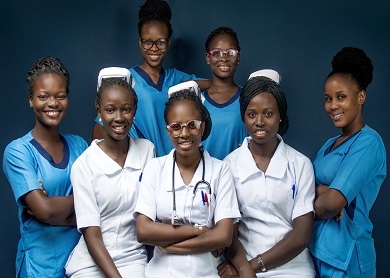 We prepare young men and women as beginning professionals in the field of nursing, only students who complete the three (3) years course are prepared to sit for the Final Examination of the Nursing and Midwifery Council of Nigeria and upon their success in this examination are eligible for registration as QUALIFIED NURSES. Training of Basic students in Nursing Education. The school serves as a foundation for their future growth and development in their chosen profession. Students, to be adequately equipped for Ophthalmic, Ear, Nose and Throat (ENT) and psychiatric Experience through their posting to University College Hospital (UCH) Ibadan and Neuro-Psychiatric Hospital, Aro, Abeokuta respectively. Exposure to better community clinical experience both within and outside her environment. To develop competencies in the theoretical and technical aspects of nursing practice aimed towards preventive, curative and restorative care. To acquire attitudes, interest knowledge and appreciation that will facilitate progress toward the optimum potential for spiritual, mental and emotional growth. To develop an awareness of community needs and to understand the role of the nurse in meeting these needs. To develop in Christian young people a desire to be positive witnesses for Christ as they minister to the patient's needs. To teach students the principles governing the spread and control of communicable diseases and participating in control, eradication and immunization programme. The first set of Students of the School of Nursing entered in October, 1981 and today God has graciously helped the school to produce well qualified, competent and proficient Registered Nurses working in all works of life. Students are fully engaged both in Class work and Clinical Services. You will learn a very wide range of skills.